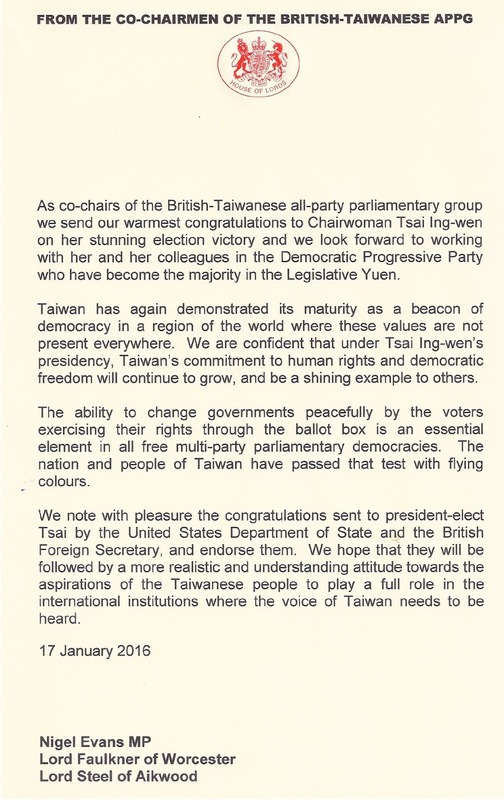 Read the letter of congratulations sent by the co-chairmen of the British-Taiwan All Party Parliamentary Group, Nigel Evans MP, Lord Steel of Aikwood and myself, to Tsai Ing-Wen, Taiwan's first woman President who leads the Democratic Progressive Party (DPP). In her acceptance speech, she vowed to preserve the status quo in relations with China, adding that Beijing must respect Taiwan's democracy and both sides must ensure there are no provocations. Ms Tsai hailed a "new era" in Taiwan and pledged to co-operate with other political parties on major issues, with the will of the Taiwanese people the basis for relations with China. "I also want to emphasise that both sides of the Taiwanese Strait have a responsibility to find mutually acceptable means of interaction that are based on dignity and reciprocity. 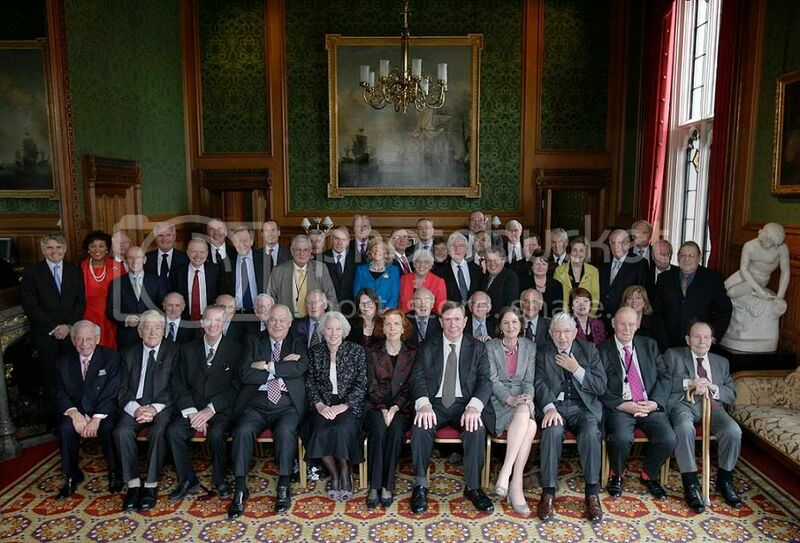 We must ensure that no provocations or accidents take place," Ms Tsai said, warning that "any forms of suppression will harm the stability of cross-strait relations".